The LP Aspire Strap-Lock Bongo Stand is built from a no-frills design with a no-stretch nylon strap that wraps around the center block of bongos for quick and secure set up. That strap may be tightened by manipulation of a simple wing screw--no keys or wrenches required. Single-braced legs spread wide for stability but do not add extra weight, while generous rubber feet provide a firm grip and heightened stability. The stand is fully height-adjustable and comes in a striking black-and-chrome finish. What could be simpler than the LP Aspire Strap-Lock Bongo Stand? Tighten the strap and you're in business. Loosen it, collapse the bongo stand and you're gone! 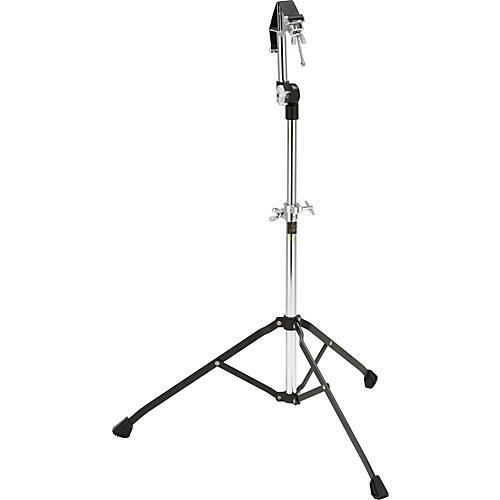 LP Aspire reliability and affordability, plus a novel and practical design, make the drum stand a logical choice for the percussionist on the move. The Aspire Strap-Lock Stand is US patented. Foreign patents are pending. Heads - no warranty or guarantee. Natural wood products - no warranty. Bags and cases - 90 day warranty. RhythMix - one year warranty, with the exception of heads. LP wood or fiberglass shells, timbale shells, stands and hardware, hardware (rims, etc.) - 3 year warranty. All other products - one year warranty.